This year is an exciting year for our established garden perennials. We have been nurturing some for the past 4-5 years. Echinacea purpurea, and nitrogen-fixing legumes like Alfalfa (Medicago sativa) and a strong medicinal I have loved to use for years, Marshmallow (Althaea officinalis) are but some. It wasn’t until last year that I really started to understand and appreciate the wondrous nutritive abilities Stinging Nettles have. I have seen them in damp forests many times, especially behind a house I spent a summer at in British Columbia, Canada. They were thick, 3-5 feet tall, and they sure let you know if a bare arm or leg grazed them while walking past! After reading about nettles in herbalism books and literature, I was excited to grow these in our back garden in case we couldn’t find many wild bunches. We planted some nettle seeds in a few designated areas of the garden last year that would suit their growing needs (nutritious, damp soil, partial to full sun, away from central paths). They awoke early this year and are doing great in the garden, ready to be harvested and made into some delicious tea and soups. The ideal time to harvest Stinging Nettles is between May and June, picking only the new tender top growths, before the plant flowers. You can save and dry any extra leaves for future use. For Rheumatism, the fresh young leaf tops were traditionally picked and rubbed or ‘beaten’ onto the skin. This is called urtification, actually induced a potent irritation to the skin that is far worse than just brushing the hairs across the skin. 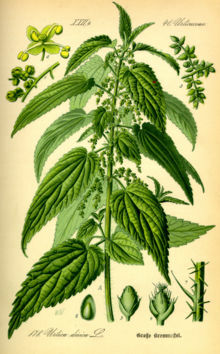 Urtification of Nettles works in two ways; first it acts as a counter-irritant, bringing more blood to the area to help remove the toxins that cause rheumatism. Secondly, the joints that are inflamed and sore from the Rheumatism are eased by the plants natural occurring formic acid. Tisane/Herbal Tea Infusion: For a basic tea mixture, each cup of boiled, filtered water, add 1 tsp of dried herb (you can use 2 Tbsp or more if you are using fresh herb). Cover the pot and let set for 30 minutes. This is the ‘infusion’ method to make nettle tea. For our home-harvested and brewed tea, we hand-picked the nettles in our back yard, picking the young tops as shown. A technique shown by superfood expert David Wolfe, is to grab under the leaf and curl it up like a taco, thus not touching the hairs on the top of the leaf or the barbs on the stem of the nettle plant. Then pluck the leaf off and set into the basket, or even set into the mouth (not to touch the lips or front of the tongue). We then snipped into smaller pieces (some people prefer to rinse the nettles before adding to tea) and put the water on to boil. Once the water was rolling, we took it off the heat and added the nettles. Cover and let steep for 30 minutes or longer. You can let sit over night and reheat in the morning for an even more potent tea – This technique let the water cool with the herb in it, therefor extracting different nutrients at each decreasing temperature stage. The end result will be a much darker and potent tea. After the tea has cooled enough to drink, enjoy! You can add other green or fragrant herbs with the nettles like mint or chamomile if you wish for a more calming or sweet tea. Finished, yummy Nettle tea 🙂 Green and earthy. Baths: This is good for sciatica. 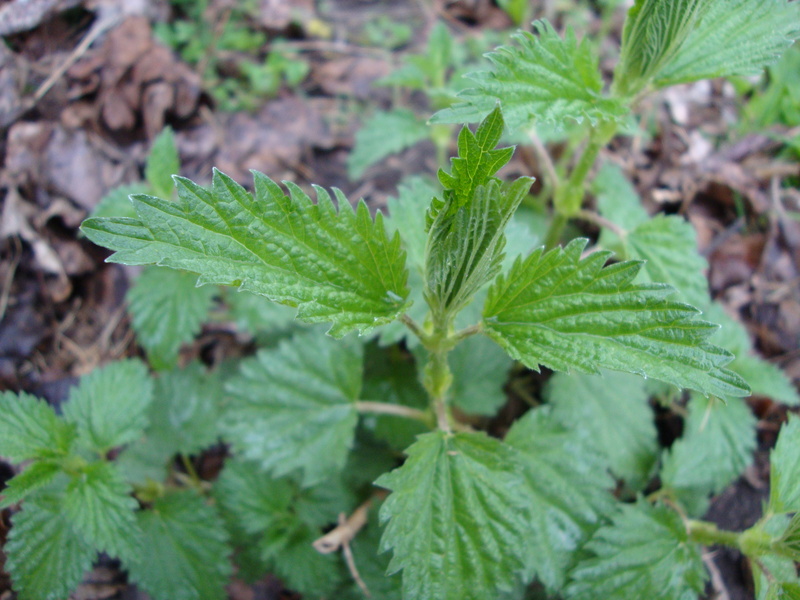 Soak a large amount of Stinging Nettle plant material, including the root, in cold water for 8 hours or overnight. Then boil the herb for 10-15 minutes and add to the bathtub. Soak in the herbs for as long as you feel comfortable. This may also be used as a foot soak. Shampoo wash: Place one half cup of the dried herbs in a huge 5 liter pot. Bring the herbs to boil slowly. Remove from the stove and keep covered for an additional 10 minutes. Add in some shaved olive oil soap and bring to boil. Cool to a warm mixture and wash your hair with this. Bring a large pot of water to a boil with 2 teaspoons of salt. Drop in the stinging nettles, and cook 1 to 2 minutes until they soften. This will remove most of the sting. Drain in a colander, and rinse with cold water. Trim off any tough stems, then chop coarsely. Heat the olive oil in a saucepan over medium-low heat, and stir in the onion. Cook until the onion has softened and turned translucent, about 5 minutes. Stir in the rice, chicken broth, and chopped nettles. Bring to a boil, then reduce heat to medium-low, cover, and simmer until the rice is tender, about 15 minutes. Puree the soup with an immersion blender, and season to taste with salt and pepper. 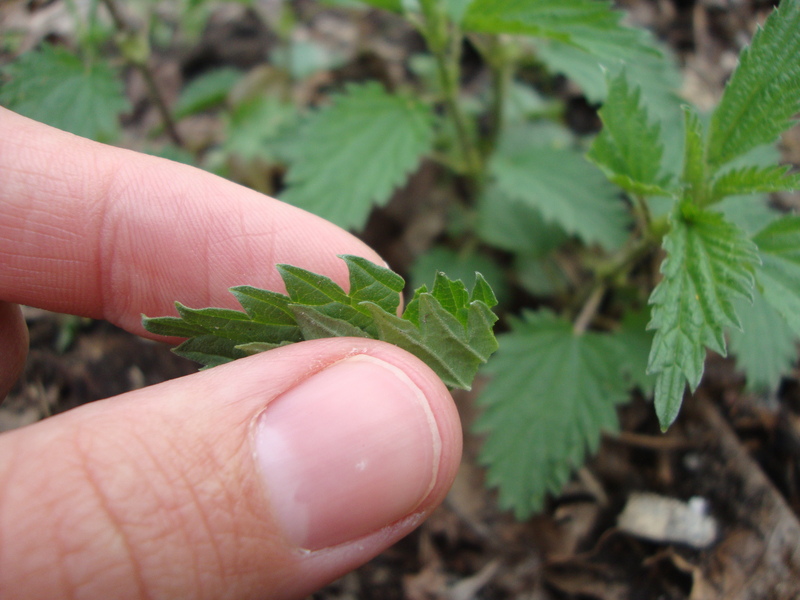 http://www.umm.edu, Stinging Nettle:Steven D. Ehrlich, NMD, 2011.